Ready to light up your night? Light DJ offers 3 controllers that connects to Philips Hue Entertainment, LIFX, and Nanoleaf Aurora and elevates your music listening experience. 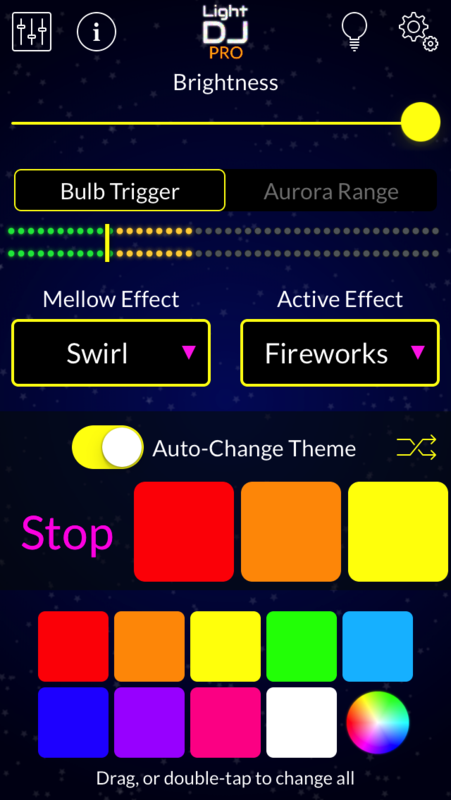 The Visualizer listens to your music and changes the effects based on the mood of the song. 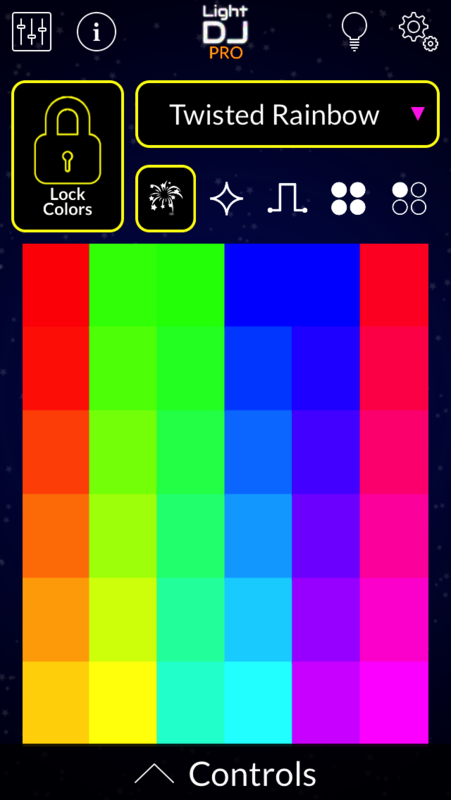 The SceneMaker beat-syncs with your music and includes over 20+ multi-color effects. Or try your hand at the Matrix, a 3D-touch interactive light toy. 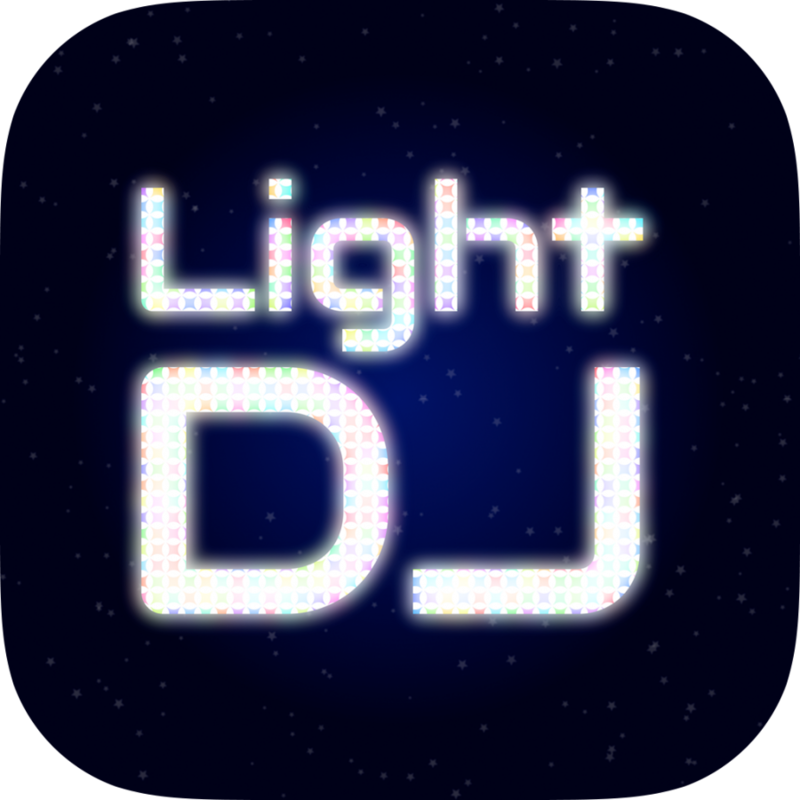 The iPad version offers a DJ Controller-inspired design for ultimate live-performance lighting control. HUE ENTERTAINMENT: Using a new Hue Entertainment area you’ll enjoy high-performance effects; all of the app’s effects respond faster and with better sync. Send waves of color across your room with the updated Groove Wave effect, or see faster strobes with the Matrix controller. MUSIC VISUALIZER: Create the ultimate music listening experience. The app listens to your music and changes the effects based on the mood of the song. Lights get active during intense parts of a song and flowy with softer melodies and magically change colors at just the right moment, or customize your own. 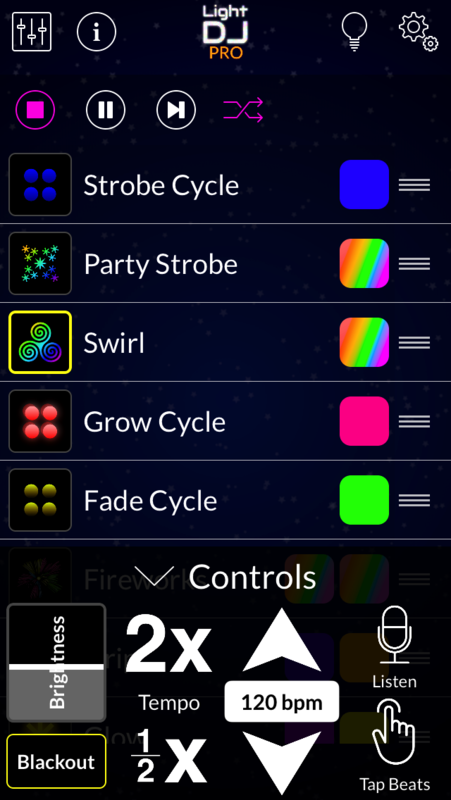 STROBE MAKER: Strobe your lights with different types of effects with the Matrix Strobe Maker. Interact with your lights using multitouch and 3D Touch technology included on iPhone 6s and newer. BEAT-SYNCED EFFECTS: Use the SceneMaker Effects controller to program your lights with up to 23 different effects that can be customized with your favorite colors. Just turn on your lights and let the SceneMaker run all night long. EFFECT MAKER: Create your own looping special effects with our powerful Effects Maker. (Legacy Hue & LIFX only). Share your custom-made effects and effect sheets with your friends using AirDrop. IPAD VERSION: The iPad app offers a DJ Controller-inspired design for ultimate live-performance lighting control. Configurable sheets allow you to setup your effects and colors in advance, and the push-button interface lets making rapid changes easy. TEMPO CONTROLS: Control the speed of your lights with precision using manual tempo controls. Easily go double-time or half-time at the press of a button. Also includes automatic beat detection using your device’s built-in microphone. MULTI-BRIDGE SUPPORT: Combine lights from two or more bridges using the legacy effects or control multiple simultaneous entertainment areas. ABLETON LINK & MIDI SUPPORT: Seamlessly sync tempo with other apps & devices using Ableton Link or MIDI Clock Sync. Control effects by sending Program Change codes over MIDI.